Dermal fillers are injections which are placed under wrinkles or deep lines to help reduce their depth and soften their appearance. They are also used for lip enhancement. 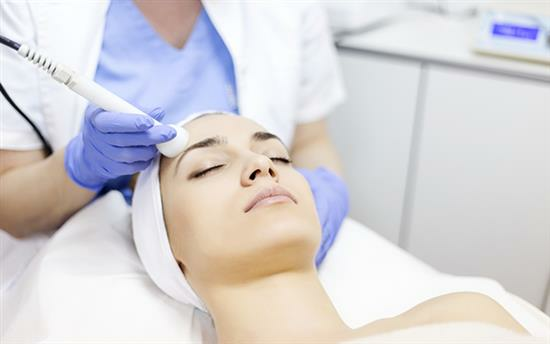 The commonest type of dermal filler consists of Hyaloronic acid, a natural substance which exists in the connective tissue of the body but has been artificially synthesised. It is not permanent and will dissolve over time. A number of companies make dermal fillers such as Restylane and Juvederm. The use of permanent dermal fillers should be avoided on the face. The dermal filler injection is administered with a very fine needle at multiple sites according to the area to be treated. A numbing cream can be used to lessen the mild discomfort. Occasionally a dental injection can be used to completely numb the area. Dermal fillers such as Restylane and Juvederm, are now available with local anaesthetic actually incorporated into the injection and this considerably reduces the discomfort. The effect of the injection is immediate although it can take a few days for the dermal filler material to look more natural and some massage may be required. The average duration of the effect is between 6 months to a year before a repeat treatment is required, although this does vary from person to person. Occasionally the effects may last longer than a year. Many part of the face can be treated with dermal fillers, the lips and lines around the mouth being the most common. Dermal fillers can be used to fill the deep depression under the eyelid (the tear-­trough) and hollowness in the cheek. With some patients,if Botox is not completely effective in eliminating deep lines in the frown area, then dermal fillers can be used to further enhance the effect. The occasional bruise is the commonest side effect of dermal filler injections, but this will resolve between 1 to 2 weeks. Some patients may experience some redness which can last a couple of days, but in most cases this can be covered with make-­up. Allergic reactions are very rare (less than 1 in 2000 cases). The severe reactions that are often reported in the press are due to the use of permanent dermal fillers and as a result their use should be completely avoided in the face. Only temporary dermal fillers with a proven safety record such as those described above, should be used.